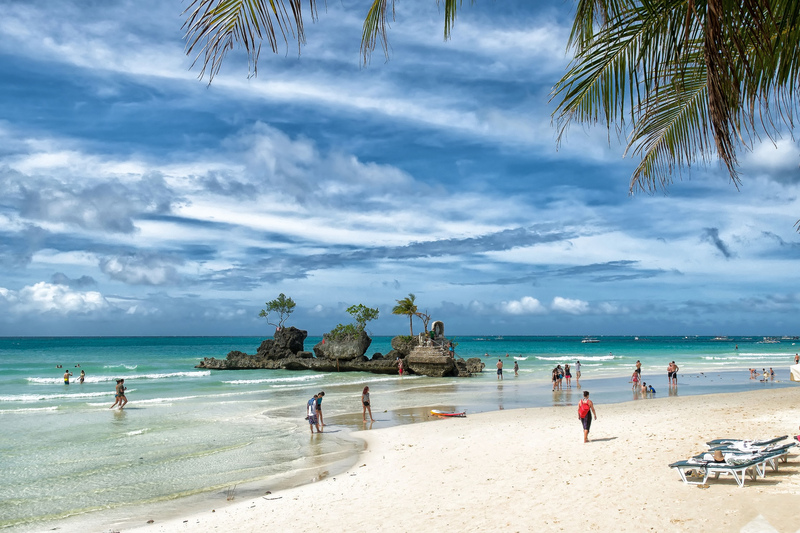 Surrounded by pristine white sand beaches, the tropical island of Boracay is just an hour’s flight away from Manila or Cebu off the larger Panay Island . It is considered as one of the world’s most beautiful white sand beaches. It is also one of the Philippines’ proudest tourist and nightlife destinations, one that’s like a beauty pageant queen unwilling to give up its crown every year. There are over 300 resorts to choose from, and quite a number of restaurants and shops dot the island, in fact, the streets can look like a Middle East bazaar during peak seasons. But Boracay is still Boracay, an island known for its heady mix of sun, white sand, and opportunities to lose your sobriety! 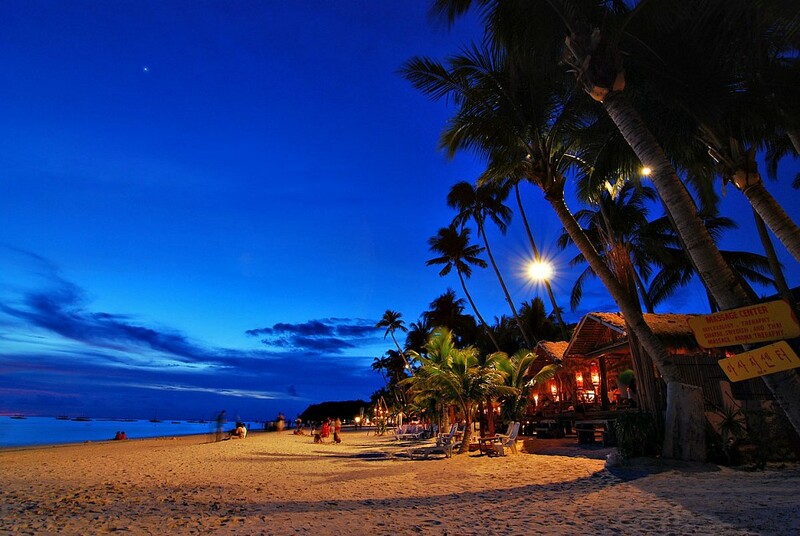 If you are the kind of traveler who wants to be in the thick of things then White Beach is the best place for you. Aside from being close to brilliantly blue waters and white, powdery sand, White Beach is also considered as the commercial center of the island. There are three sections to the White Beach and these are Station 1, 2, and 3 with Station 1 being in the northernmost part of the island where posh hotels as well as resorts are located. White beach is also host to a myriad of resorts, restaurants and nightclubs, and most activities are aggressively offered here. You can also frequently see the iconic postcard sandcastles here that only last a few hours each until people trample them or the tide washes them away. If White Beach is too crowded for you, Puka Beach may be more appealing. If you are wondering what a tropical island looks like, Puka Beach is the answer. 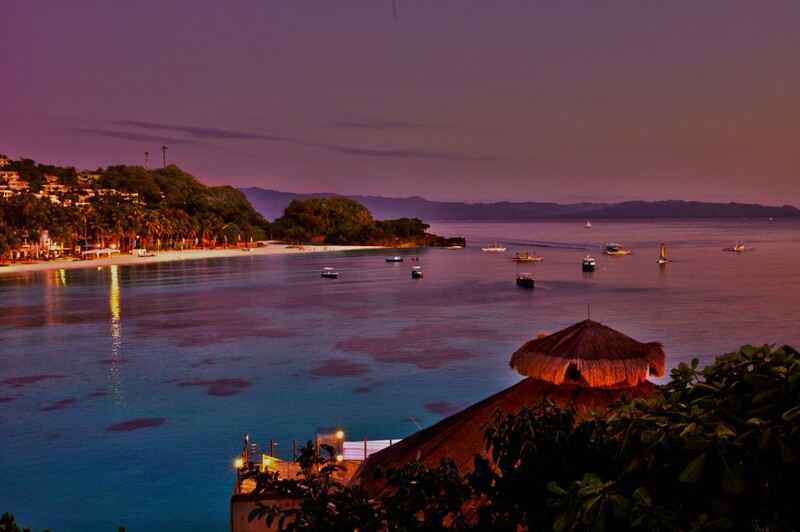 Located at the northern tip of Boracay, you will be treated to azure water, white sand, and devoid of people. Kiteboarders will love Bulabog Beach because when the wind picks up you can do all sorts of crazy stunts here as well as high jumps. A peaceful environment is up for grabs in Baling Hai where you can snorkel, swim, and dine in relative comfort and relaxed setting. Locals that work for the tourism of the island walk around the beach plying tourists with offers to go ATVing, scuba diving and other excursions. You shouldn't settle with the initial rate given by the tour guide or even the one written on the informational literature because you can get the rates to go down through haggling. If you want to explore the depths of the sea, there are many diving and scuba diving packages to choose from because there are dozens of dive centers available in White Beach. You can practice your skills or learn how to scuba dive. You can also earn cave, tech, instructor, and wreck level qualifications. The price is usually around $ 33 USD for every dive and this includes renting all of the necessary equipment. 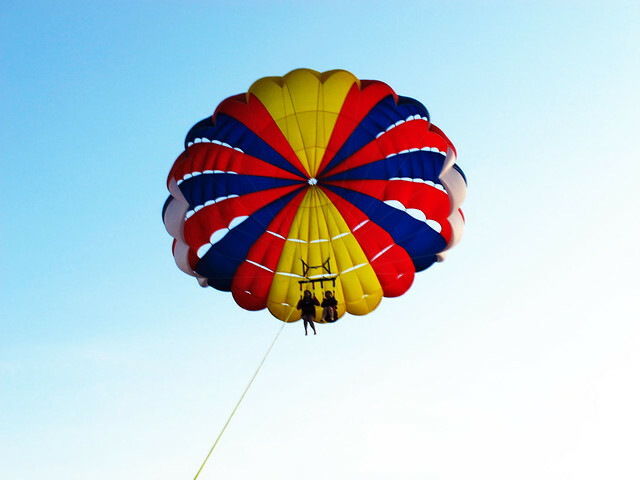 Using a large parachute for two persons, you are floating at some 100 m altitude while being pulled by a boat. Enjoy the breathtaking sights while feeling airborne because the parachute is behind you and your partner. Different from scuba diving, walk underwater with a big helmet for oxygen. You will be given some food to feed the fish and pictures will bet taken of you. This thrilling high-speed vehicle for two is like a waterborne motorcycle. You are allowed to steer yourself and carry a partner. 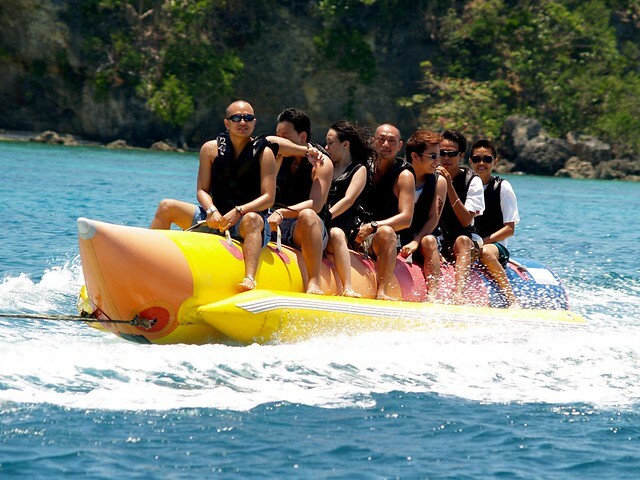 You will sit on a long banana-shaped inflatable boat with a group of people to be dragged across the water by a motorized boat. Though somewhat secluded, there is a segway and ATV hub where you can rent an ATV or segway and do a guided group tour of some 30 minutes. As with many islands on the Philippines, there are island hopping tours available. Prices vary wildly (where higher is an indication to look further as you are probably being ripped off) and may include lunch, snorkeling, beaches, and fish-feeding. 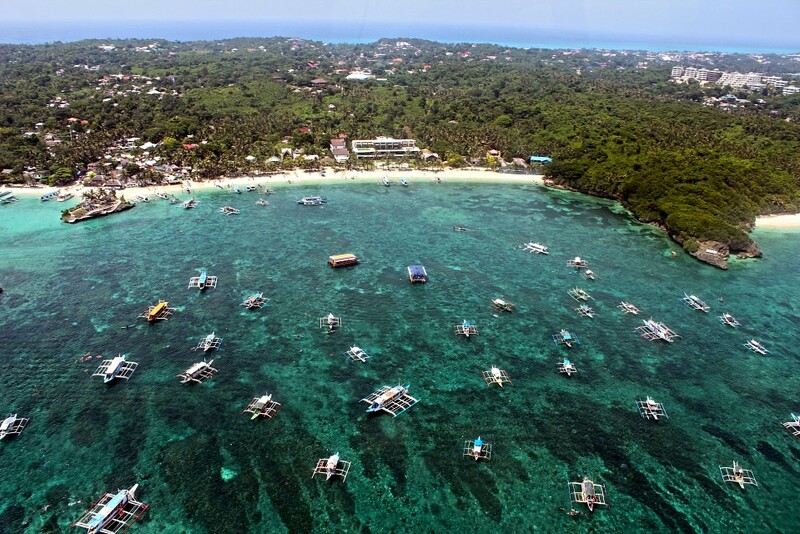 At a fixed price of ₱2,500 ($55) per group, you will get a 10 to 15 minutes helicopter tour around the island of Boracay. Highly recommended as it is probably one of the cheapest chances you will get to ride a helicopter! Interesting trivia: There are only about a thousand helicopter pilots in the entire Philippine population of about 100 million. Other activities available include boat tours, kiteboarding, sunset boat trip, kites on Bulabog beach, and skimboarding. 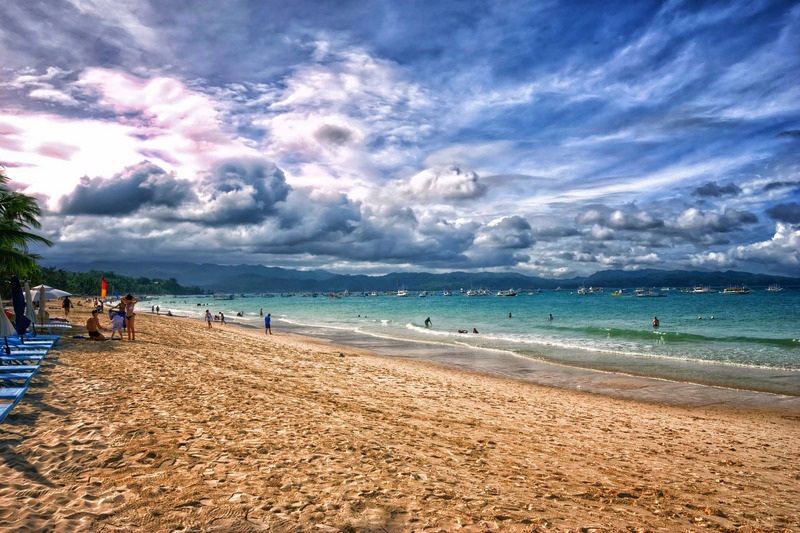 Because Boracay is a major tourist destination in the tropical Philippines, it is chock-full of hotels from the budget hotels to the luxurious Shangril-La. The fame of Boracay also causes the hotel prices to be a fair lot higher than most other Philippine islands. Since most hotel receive a lot of traffic, a lot of them feel worn out and dated. Hotels situated on White Beach have the large advantage of being in the middle of the action. More secluded hotels have the advantage to be quiet, but require a shuttle to get to the activity area and White Beach. While two airports are nearby in the much larger Panay Island, Boracay island itself is only reachable through old-fashioned pump-boats from the Jetty Port in Caticlan. Caticlan – It takes only 3 minutes by tricycle or van to get to the Jetty Port where you can board a fast craft or pump boat to Boracay Island. The flights here are more expensive compared to Kalibo. Propeller-type planes are the only ones allowed to land in Caticlan because its runway is short. There are plans to majorly expand this airport allowing jet-planes and a much higher volume of passengers. Kalibo Airport – It takes one and half hour of bus or van ride to the Jetty Port in Caticlan. Many opt for this airport because it allows larger jet-airplanes unlike Caticlan and also has international flights. After the Caticlan Airport expansion this airport will likely not be a good choice anymore for getting into Boracay. You can also head to Boracay through Iloilo which is about six hours away by bus to Caticlan Jetty Port. Getting into Boracay is a bit confusing and inconvenient, especially when arriving in Kalibo. After landing, you'll have to find transportation to the Jetty Port (at a fee), then buy a boat ticket (some ₱150 ($3.30)), and pay environmental fees ( ₱200 ($4.40)), then when arriving at the dock in Boracay you'll have to arrange for transporation to your hotel using a tricycle or jeep. All of this while carrying your luggage around and standing in line at each transfer. Allow for ample time getting in and out of Boracay. There may be plans to build a bridge in the future connecting Boracay by road to the mainland. 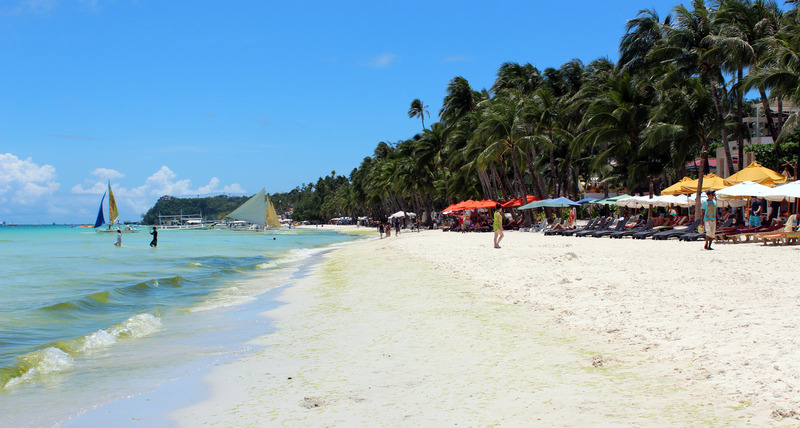 Due to its popularity, Boracay is quite a bit more expensive than other parts of the Philippines. Islas de Gigantes– or Island of Giants is found off the coast of Estancia and Carles towns in Northern Iloilo. The main islands where Isla Gigantes Norte and Isla Gigantes Sur are included, are 11 miles from the mainland. You can reach Isla de Gigantes by taking a 3 hour bus ride to the Port of Estancia and then 2 hours on a boat. White Beach Dive & Kite Resort and Carabao Island - If you want to get away from the hustle and bustle of Boracay, you can head out to Carabao Island which is just 30 minutes away. Ibiza, Spain is a tourist oriented island in the Mediterranean, similarly renowned for its extensive nightlife and beaches. And of course, Miami Beach is premier nightlife-on-the-beach destinations of the world.